What pitfalls does the GDPR consent management tool present for website owners? It has been almost a year since the General Data Protection Regulation (GDPR) came into force. The regulation applies to everyone who collects or processes personal data of individuals within the EU. Out of all the RTB ad formats in R2B2 Multiscreen, only the prices for mobile formats and Takeover Skins fell in February. TV banners and video ads still had the highest CTRs, although they were below 2%. Real-time bidding has changed the way online advertising is done. Now we have a guide that describes and explains all the options for advertising on the R2B2 ad network. Plzeňský Prazdroj created a special mixed drink called Whisper under the Kingswood brand. The agency TRIAD Advertising handled the product promotion, choosing to buy ads, namely Interscroller, programmatically through the R2B2 Multiscreen digital network. The prices of RTB ads on R2B2 Multiscreen fell in January. Conversely, CTRs for the selected formats grew. Television banners and video ads had the highest CTRs. Programmatic advertising grows by tens of percent each year. The Czech ad tech company R2B2, which operates a digital ad network, has compiled an overview of the trends in pricing and performance for selected ad formats in the year 2018. 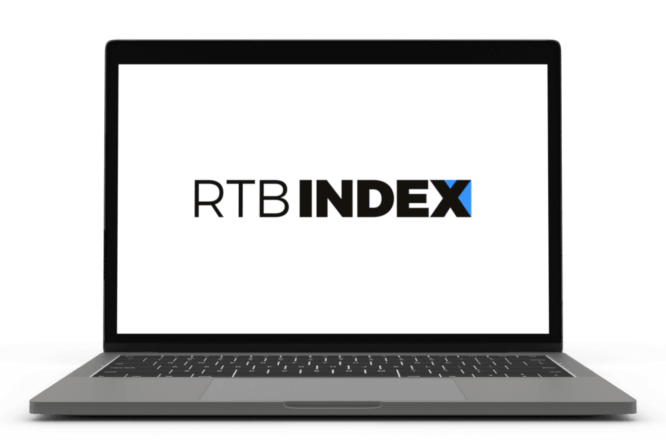 The data comes from the RTB Index that R2B2 publishes on a monthly basis. In December, CTRs for ad formats in the R2B2 network rose. TV banners again reached a CTR of over 2%. Price increases mainly affected mobile formats. FORTUNA GAME used programmatic in an acquisition campaign during the 2018 FIFA World Cup. For mobile advertising, the format Mobile Skins was selected on the R2B2 Multiscreen network. Interscroller was introduced by R2B2 at the end of June 2018. After only five months, the number of impressions sold has already soared past Mobile Skins, which was previously the best selling mobile format. R2B2 offers advertisers 4 billion impressions a month on Czech and Slovak websites. On HbbTV, 300 million impressions a month are available.